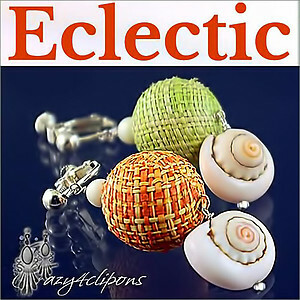 Features: Summertime is the season to combine light, playful, fun colors and textures. 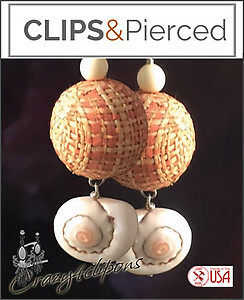 This Clip On Earring Design combines a large approximately 20mm bead covered in raffia with a playful shell and topped with a soft bone bead. All hand-wrapped in sterling silver wire! 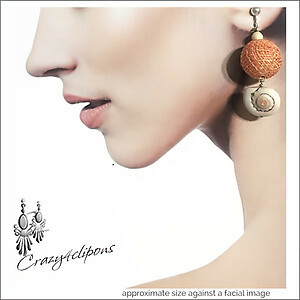 Pair these earrings with your favorite large summer hat and sunglasses for an afternoon at the beach.